Many of the later episodes of Dad’s Army did not compare so well with those from the early series. As the story ideas began to dry-up Perry and Croft developed a habit of putting the cast in various costumes, often for no very convincing reason, and it didn’t always work out well. 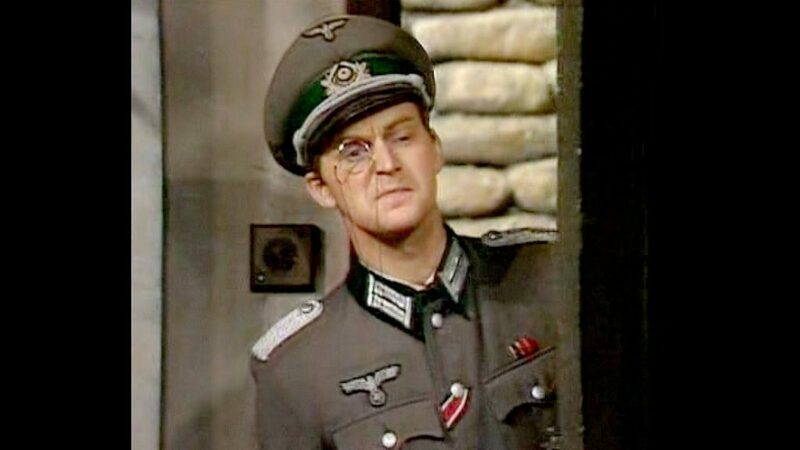 The episode Ring Dem Bells first, first screened in September 1975, is an exception and contains some lovely moments when the platoon dress up in Nazi uniforms in order to take part in a public information film. Pike and Wilson become particularly keen on their new roles, much to Mainwaring’s disgust. This entry was posted in blog on June 27, 2018 by wolAdmin.